Renting is hard enough, but renting with pets can feel nearly impossible. Landlords often make renters jump through hoops before moving in, and parks and vets can be scarce. This isn’t the case everywhere, however. 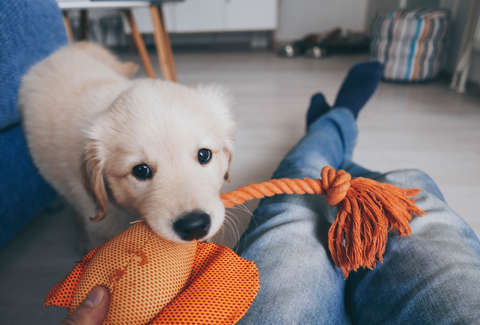 Some cities are more pet-friendly than others when it comes to renting, and it may surprise you which cities top the list. Zumper put together a new report revealing the top pet friendly cities in the United States, so if you’re looking for a place for you and your furry friend, look no further. In compiling its list, Zumper took into consideration the number of people searching for apartments using its pet-friendly search filter, the number of vets per capita, and the sheer number of pet-friendly listings available in each city. While it may seem like everyone in New York has a dog or cat, the Big Apple didn’t even make Zumper’s top 10. Instead, the Midwest and West Coast reigned supreme, with Florida holding it down for the east. 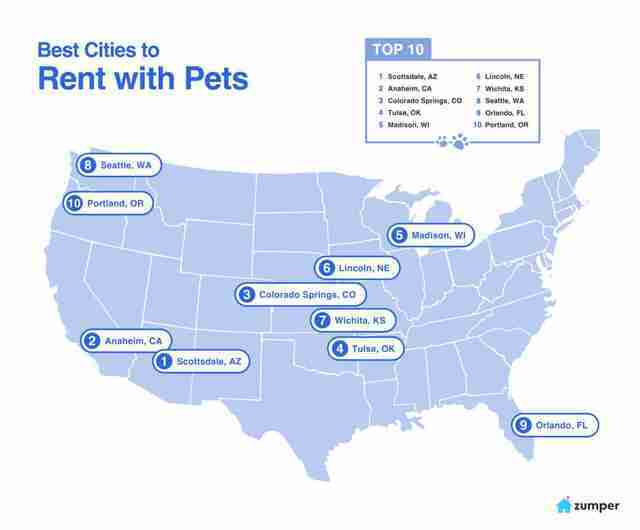 While Scottsdale, Arizona topped the list with all Zumper’s different factors taken into consideration, Richmond, Virginia had the most pet-friendly listings, and Colorado Springs, Colorado had the most pet-friendly searches. Santa Ana, California topped Zumper’s list for the most parks per capita, while Anaheim, California had the most vets per capita. Major cities like Los Angeles, New York City, Boston came in at numbers 89, 92, and 90 respectively. Zumper’s list suggests that while city life may be best for you and your career, your pets may not be living their best lives there. In addition to fewer pet-friendly rental options, those cities had fewer pet-friendly parks and vets per capita than others on the list. If you’re looking for a place for you and your fur babies to rest your heads, you may have to consider expanding your horizons. Your pets will thank you.